Gran Alacant is a friendly place, and we are proud that our customers become our friends! 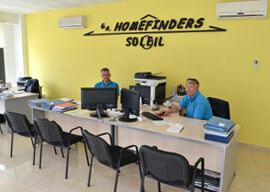 Often calling in for a coffee or a chat, and many choosing to buy and sell again with us here at GA-Homefinders. Join them today!